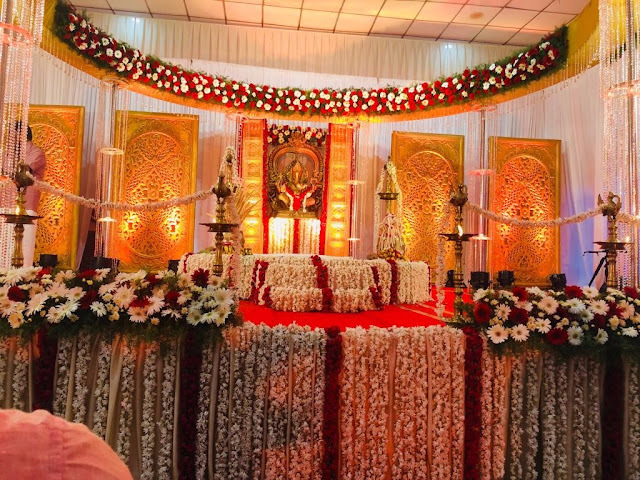 A Simple Outstanding Wedding Stage Decoration. Kerala Wedding Planners - The Wedding Stage Decorators in Kochi- Ernakulam. The below-shown decoration is Ideal For Hindu Decorations conducting outdoors such as Lawns, Resorts etc.